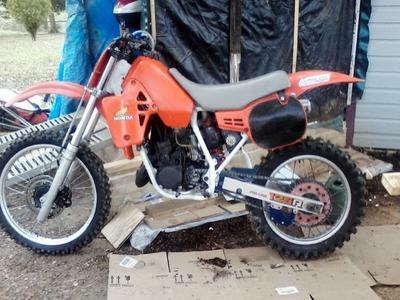 The nearly original stock 1984 Honda CR125 for Sale has a fresh motor, had the top end and bottom end rebuilt with less than an hour on it. The bike has a new rear tire and a nearly new front tire. The CR 125 starts on the first kick if you hit it right and idles like a kitten. I'm running Klotz and all top grade oils in it and it has a full tank to go with. As far as I know this vintage dirt bike is stock except the frame was painted white and the blue seat has been replaced with a grey one. It runs scary fast; it's quick. I want to sell to get a new project. you will see that she is priced right. This used Honda motorcycle is not perfect, but I have her looking and running like a champ. 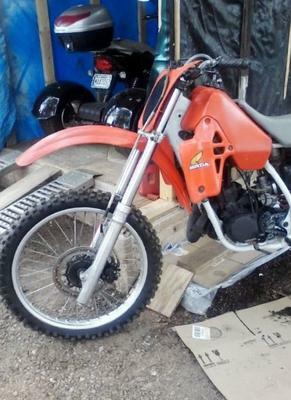 The 1984 Honda CR125 for Sale is in Rutherfordton, NC and I'm selling her at a "sacrifice price"; $1700 obo. 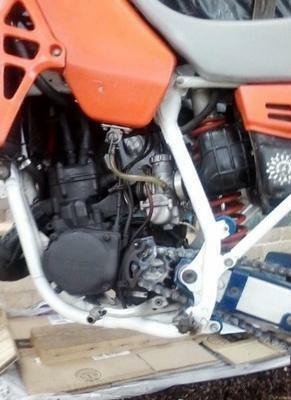 You can contact this motivated seller by texting 828395 seven 677 or via the comment form provided by GoGoCycles Used Motorcycles for Sale located directly below this classified ad.